The Cuisinart CMD-108 is a melting dome whose structure allows heat to concentrate under the stainless steel dome and cook your food more evenly. 9” diameter dome gets a wonderful smoker flavor, enhancing great grilled food taste. 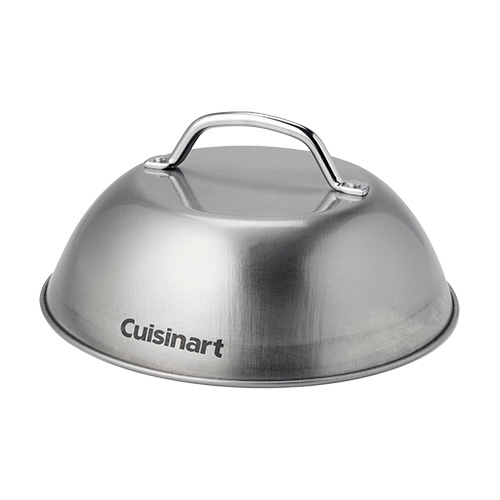 The Cuisinart Grill Melting Dome has many exciting features for users of all types. You can extend the lifetime of your Cuisinart Grill Melting Dome with the purchase of a FactoryOutletStore Factory Protection Plan. See the Cuisinart Grill Melting Dome gallery images above for more product views. 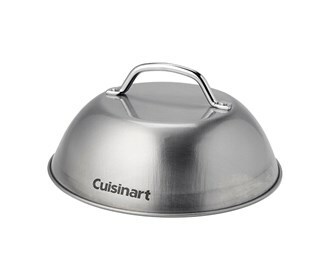 The Cuisinart Grill Melting Dome is sold as a Brand New Unopened Item.